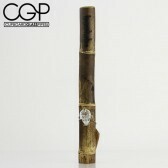 The first 100% sustainably grown bamboo water pipe on the market and is made in Maui, Hawaii. During the last few years, the global community has become more aware of the impact we have on our planet as a whole as well as our own geographical areas. The “green” or “sustainable” way of life is now and will remain at the forefront of emerging new markets. "We present to you the Bootube (Bamboo Tube) – a tobacco water pipe that is 100% sustainably made from bamboo grown on Maui. 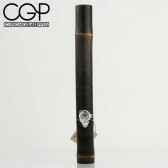 We are proud to offer the only fully sustainable organic tobacco water pipe on the market. "After months of research and development, we have chosen a rare variety of black bamboo resistant to mold mildew cracking and water – a perfect smoking tool! Lucky for us, Maui is home to the largest certified organic black bamboo farm in the western hemisphere."